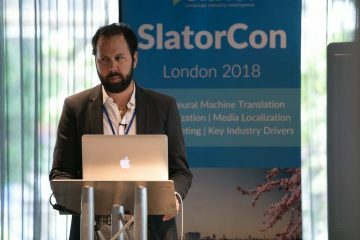 Benjamin du Fraysseix, CEO of Technicis, gave his perspective on M&A during a presentation to the SlatorCon London audience in May 2018. Du Fraysseix is well-acquainted with the M&A process, having led the company through multiple acquisitions since 2012, the year that Technicis made its first deal by buying VO Paris. Since then, Technicis has progressively scaled up the size of its acquisition targets, with EUR 4m companies Cogen and Translation-Probst joining the ranks in 2015 and 2016 respectively. PE group Naxicap took a majority stake in Technicis Group in 2016 and the company went on to acquire Arancho Doc in 2017, which generates revenues of EUR 12m – three times as much as the the previous acquisitions. The company’s first 2018 acquisition, Textmaster, has added a further EUR 10m in revenue. 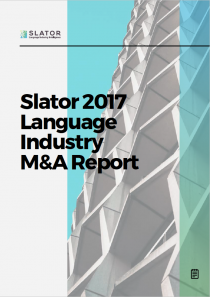 Du Fraysseix told SlatorCon participants that these most recent four acquisitions added nearly 200 people in headcount and facilitated the company’s expansion to Belgium, Switzerland and Italy, among other locations. In executing his buy-and-build strategy, the Technicis CEO is constantly reviewing targets. Du Fraysseix confirmed that he had signed some 45 letters of interest since starting out on the M&A journey. The CEO said that M&A can also be an accelerator for organic growth and that other long-term benefits of M&A include lowering fixed-costs, reducing staffing overheads, bringing down translation costs, and leveraging shared support functions. On pitfalls, Du Fraysseix cautioned that there are potential downsides to an M&A, for example in the case where it takes longer than expected to integrate technologies or realize financial gains, or when these gains do not match up to original expectations. In conclusion, he deemed M&A to be a “painful and difficult journey”, but one that is “exciting and creates value”. A journey that Technicis is still on since Du Fraysseix hinted that there was another acquisition target in the immediate pipeline.